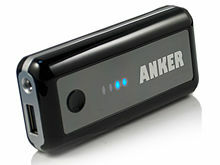 Anker is a brand of Chinese electronics company Anker Innovations . based in Shenzhen, Guangdong. The brand is known for producing computer and mobile peripherals. The name Anker comes from the German word for anchor. Steven Yang started Anker in 2011 after working as software engineer for Google in California. He moved to Shenzhen, China. In early 2012, Google's then-head of sales in China, Dongping Zhao, was hired and as of 2018, is president of Anker Innovations. In 2012, Anker switched its focus from replacement laptop batteries to smartphone battery chargers and wall chargers. Anker maintains subsidiaries in California, Germany, the United Kingdom, Japan and China. Before 2017, Anker devices were almost exclusively sold at Amazon Marketplace. Anker charging devices use its proprietary "PowerIQ" technology, which the company claims detects the connected device and automatically optimizes the current delivered to charge it faster. Many of Anker's charging devices also use various fast-charging technologies, such as Quick Charge. Anker was mentioned in 2015 as the leading brand of mobile chargers on Amazon.com. Besides mobile accessories, Anker also produces smart home appliances, headphones, portable speakers, portable video projectors and car accessories. In 2014, an Indiegogo campaign to promote a set of magnetic accessories called Zolo was launched. Due to prolonged manufacturing challenges the project was set on hold and 1863 backers were offered a 200% refund. In 2016, a batch of Anker USB-C charging cables suffered a manufacturing defect that could potentially cause damage to connected hardware, leading to a recall. ^ Chokkattu, Julian (2018-01-08). "Anker Innovations' six key sub-brands focus on smart home, batteries, and more". Digital Trends. Retrieved 2018-07-13. ^ a b c Staff, Nick (2017-05-22). "How Anker is beating Apple and Samsung at their own accessory game". The Verge. Retrieved 2017-05-22. ^ "How a Chinese startup became a top seller on Amazon.com". internetretailer.com. Retrieved 2017-05-28. ^ Kamps, Haje Jan. "Anker launches sister brand for home automation". TechCrunch. Retrieved 2017-05-24. ^ "Zolo: A Magnetic Case, Battery & Cable System | Indiegogo". indiegogo.com. Retrieved 2016-11-06. ^ "Ankers away! USB-C cables recalled over freakin' fried phone fears". TheRegister.com. Retrieved 2017-02-01.